In a global economy where a person can find products from every corner of the globe consumers are sometimes inclined to make their purchasing decisions based on the country of origin (meaning where the product is made and where it is imported from). Americans, for sure, like to base their decision of whether to buy certain products based on country of origin. 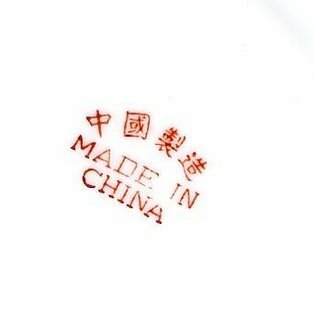 We have all probably, at one time or another, been told to buy American, to look for a made in U.S.A. label, or not to buy anything from China or some other country. My grandpa, who grew up during World War II, wouldn’t buy anything made in Japan or Germany, and for a time during the Iraq War there was a call among some to boycott French products for their unwillingness to join the U.S. efforts. authored 19 U.S.C. § 1304 in order to specify the various rules and exceptions to the country of origin marking requirement, and set out penalties for failing to mark and/or properly identify the country of origin of imported products. Id. at §1304(a). The reason for these requirements to enable the “ultimate purchaser” (i.e., the person who will receive the article in its imported form 19 CFR § 134.1(d)) to readily identify the article’s country of origin in case that will affect his decision to buy or not buy a particular product. Customs can require that certain articles be marked in a specific manner, without exception, by stamping, cast-mold lettering, etching, engraving, or cloth labels (e.g., coffee, tea, spices, manholes, pipes, fittings, etc.). 19 CFR § 134.42. Interestingly, the country of origin marking requirement means if you cannot find a country of origin marking on a product or its container, you may presume that it was made in the United States, because there is no marking requirement under this law for non-imported products (it could also mean that the country of origin marks were intentionally destroyed, removed, or concealed, or that Customs failed to intercept violative country of origin marking). Exceptions to the country of origin marking requirement typically arise when marking an article is extremely difficult or purposeless to mark. For example, the statute can exempt particular articles which are physically incapable of being marked, cannot be marked prior to their shipment to the U.S., or are imported for the private use of the importer and not intended for sale in the U.S. Id. at §1304(a)(3). Even in those cases, however, while marking the article itself may be excepted, the law still requires the importer to mark the country of origin on the container of the article, like the packaging it comes in. Id. at §1304(b). Exemptions could be available in a variety of circumstances. For example, marking a product could be economically prohibitive to the article’s importation or injure the article, or the origin could be apparent without explicitly marking the article. In the absence of the required country of origin mark on imported articles, Customs will ensure that unmarked imported products are denied entry in commerce, or if already released from Customs custody, they will be required to be returned via redelivery notice. Customs may impose and collect an additional duty of 10% of the article’s value before allowing release, an amount in addition to any other duties normally owed, if any. Id. at §1304(i). Before release, Customs will require that the article be marked with the correct country of origin and until marked duties paid. Id. at §1304(j). If you have a question about proper country of origin marking, identifying the actual country of origin, and otherwise determining how to comply with the Customs rules concerning proper country of origin marking for imported products, you should consult with an attorney experienced in the customs and related laws. It is possible to get a prospective ruling from U.S. Customs product which you intend to import, and an attorney can arguing for a particular manner of country of origin marking. Contact out office today to discuss your problem and your options. Feel free to use this article to supplement your own knowledge, but do not let it serve as a substitute for legal counsel familiar with the various restrictions and exceptions of the law.